Puppets these days are not exactly all that popular anymore. Back in the day, they were seen as toys used for the entertainment of kids who loved stories being told with the use of puppets. Being able to reenact a story using puppets as the main actors to the "show" was very fascinating and entertaining back in the days of no internet and tablets. However, due to the advancement of technology, there are now many forms of entertainment that can be seen through a person's gadgets. Hence, the popularity of puppets all over the world has diminished significantly. Fret not, on the other hand, as puppets are still quite popular in some countries such as the country of Japan. Because of one of its traditions, entertaining with the use of puppets is still quite prevalent in the Land of the Sun to this day. This form of entertainment is known as Bunraku. One may mistake this as the Bunraku Nihonjin No Wasuremono, which is a Japanese spirit, but this is completely different to the bunraku that one is talking about. The bunraku that concerns puppets is the traditional puppet theatre in Japan that dates back to the olden days wherein puppets were maneuvered by various people, accompanied by music and narrating, to entertain the audience. While it may seem easy to control puppet dolls, the art of bunraku proves that that is not the case at all. 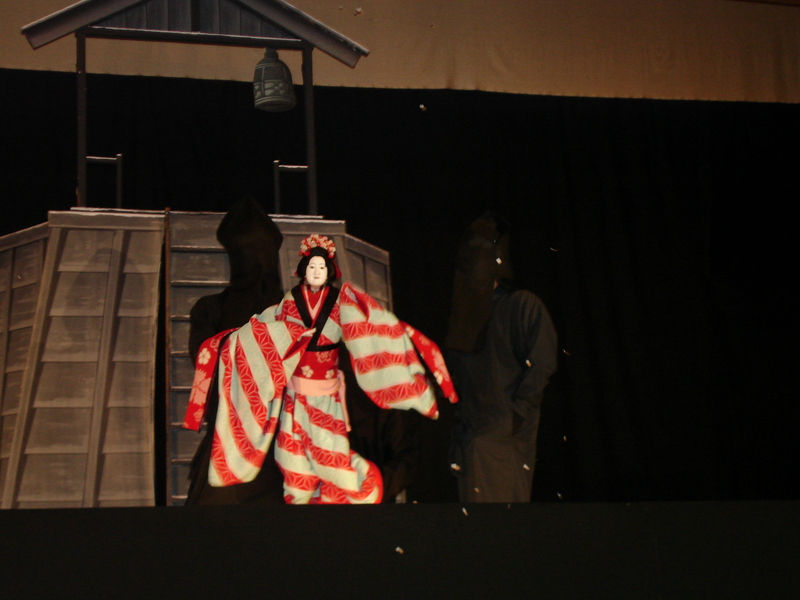 There are various aspects that affect the success of a bunraku play. The art of the traditional puppet theater in Japan known as bunraku began in as early as the 19th century. Dolls with the size of half a human make an act with a chanted narrative that is considered dramatic known as joruri. This act is accompanied by a small samisen or a three-stringed Japanese lute. The term “bunraku” was derived from the name Uemura Bunrakuken, a puppet master who lived from the year 1751 to the year 1810 on Awaji. He organized a troupe that would be the first to do puppet theater. Puppetry was known as ayatsuri in Japanese while puppetry theater was known as ayatsuri joruri during that time. While puppetry in itself appeared much early on in the 11th century with “puppet turners,” also known as kugutsu-mawashi in Japanese, it was not as popular among the public. At that time, players of puppets traveled a lot with their art stemming from Central Asia. The puppets up to the end of the 17th century were primitive as these had neither hands nor feet. The puppeteers who manipulated the puppets also remained hidden during this time. However, upon the 18th century, these puppet manipulators began operating their puppets out in the open. The puppets or dolls have developed by then. Their heights started to vary from one foot to four feet. Male puppets had not just their heads but also their own hands and legs made out of wood. On the other hand, female puppets did not have either legs or feet as the dresses of Japanese women at the time hid those parts of the female body. The puppets were without trunks and had quite elaborate costumes that were eye-catching. There were three puppeteers needed to operate principal dolls. The head of the trio is the chief handler who wore a dress from the 18th century. It was his task to manipulate the head, including the eyes, lips, and eyebrows, and the right hand including the fingers. On the other hand, the task of the two helpers in the trio was to move the left hand, the legs, and the feet of the puppet. These assistants also had to wear black, hooded outfits so as to make themselves appear invisible to the audience. 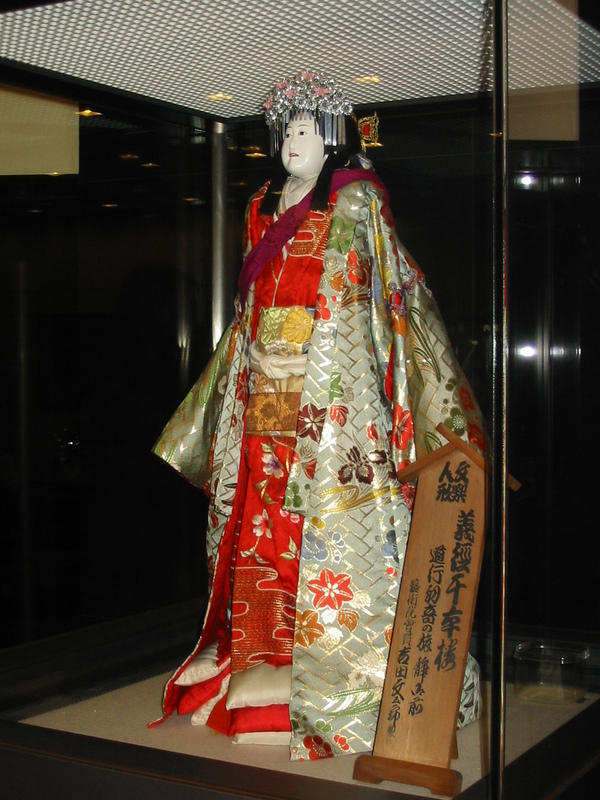 Should the puppet be female, instead of manipulating the legs and the feet, the helpers would have to make some movements to the kimono that the doll would be wearing. While it may not seem that hard to manipulate puppets, training for this kind of artistry takes years. Perfectly synchronizing the movements of the puppets and making sure that these movements appear lifelike are not that easy to achieve. Nonetheless, puppeteers remained steadfast in trying to achieve this goal of becoming a puppet master. 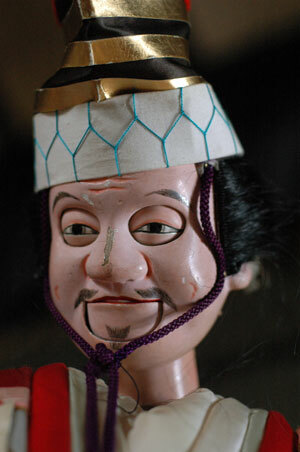 The popularity of bunraku skyrocketed in the 18th century, which can be attributed to the plays of Chikamatsu Monzaemon. However, this did not last long as there was a lack of great writers of joruri. Being resilient to the passing years, the art of bunraku again gained popularity in the later part of the 20th century. It was in the year 1963 that two small troupes that used to be rivals decided to join together and form a single group that is now known as the Bunraku Kyokai or the Bunraku Association. Based in Asahi-za, previously known as the Bunraku-za, it is a well-known organization established in Osaka. As of today, various performances can be witnessed in the Kokuritsu Bunraku Gekijo or the National Bunraku Theatre located in Osaka. To show appreciation to this form of art, UNESCO stated Bunraku as a Masterpiece of the Oral and Intangible Heritage of Humanity in the year 2003. A bunraku play is composed of three types of performers, namely, a narrator, a shamisen player, and the puppeteers. When grouped together, they are known as the Sangyo, which translates to “three professions.” The task of the narrator, also known as the tayu in Japanese, is to tell the story. He does this by changing his voice as the story moves along. He is also tasked to describe the scene and to recite the lines of every character in the play. He recites the gidayu-bushi, which is a form of joruri. This narration is comprised of different styles including the depiction of the scene or jiai in Japanese, the lines of the characters or kotoba in Japanese, and the almost like singing with the shamisen or fushi in Japanese. Another thing that the tayu is tasked to do is to raise the yukahon to eye level before starting to recite. Also known as the libretto, yukahon is the script and the method of recitation that is copied out by the tayu himself with the use of a calligraphy. The act of raising the yukahon before recitation is seen as showing the utmost respect to the narration techniques and the lines that were legacies of his predecessors. The narration itself can last from an hour to an hour and a half. This can be considered a feat as the tayu does not have any microphone. Hence, it is the job of the tayu to ensure that everyone in the audience is able to not just hear him but also be able to distinguish the different characters based on his voice. On the other hand, the tayu has a partner to help set the mood of the play. This partner is the shamisen player. The task of the shamisen player is to settle the desired atmosphere of the play and to add depth to the story. Looking straight ahead, the shamisen players plays the tunes without changing his expression. The purpose of him playing the shamisen is to evoke emotions just by the tunes of the music. As for the puppeteers, as was said, they are composed of three persons manipulating only a single puppet. The main puppeteer, known as the Omo-zukai, manipulates the right hand of the doll while trying to support its body and move its head. The left puppeteer, known as the Hidari-zukai, manipulates the left hand of the puppet with his right hand. The right puppeteer, known as the Ashi-zukai, manipulates the feet of the doll in a bent-over position. These puppeteers are trained for years just to achieve the perfect synchronization of the movements of the dolls without speaking with one another. Training may take around 10 years just to become a foot puppeteer then another 10 to become a left puppeteer. When watching bunraku in a bunraku theater, it is essential to note the different sides of the stage. The right side of the stage is known as the kamite while the left side of the stage is known as the shimote. There is a small curtain known as the komaku that hangs at the left and right side of the stage. The komaku consists of a print of the crests of the two theaters from the Edo period, which began from the year 1603 and ended in the year 1868. These two theaters are the Takemoto-za and the Totake-za. It is through this small curtain that the puppets enter and exit. On the left side of the stage is the narrators’ platform known as yuka in Japanese. This is where the narrator and shamisen player sit and perform. It is a circular revolving platform called bon in Japanese, which has a screen partition in the middle. Just on top of the komaku at both the left and the right side of the stage are small rooms that are screened from the view of the audience with the help of a hanging bamboo blind. Narrators and shamisen players who are still quite new to performing are the ones usually placed in these areas. There are also other musical artists that perform in the play. These members of the orchestra known as hayashi in Japanese use musical instruments like the drum and the flute to add intensity and effects to the music produced by the shamisen player when the scene is supposed to be lively, such as festival scenes. Due to the popularity of bunraku, it comes as no surprise that puppets have become a product to be sold by those who are fanatics of this form of entertainment. With the elaborate costumes of these dolls, they really look quite nice as either a display or a part of a collection. Also, another proof that bunraku has become known not just in Japan but also in other parts of the world, there was a film that was named after this form of entertainment. It was an official choice of the Midnight Madness portion at the 2010 Toronto International Film Festival that was held in Canada. Filming for this movie started in April of the year 2008 while a limited theatrical release was scheduled for September of the year 2011. Its production company was the Snoot Entertainment Bergman Productions Picturesque Films. A trailer for this film may be watched online for those who are interested. 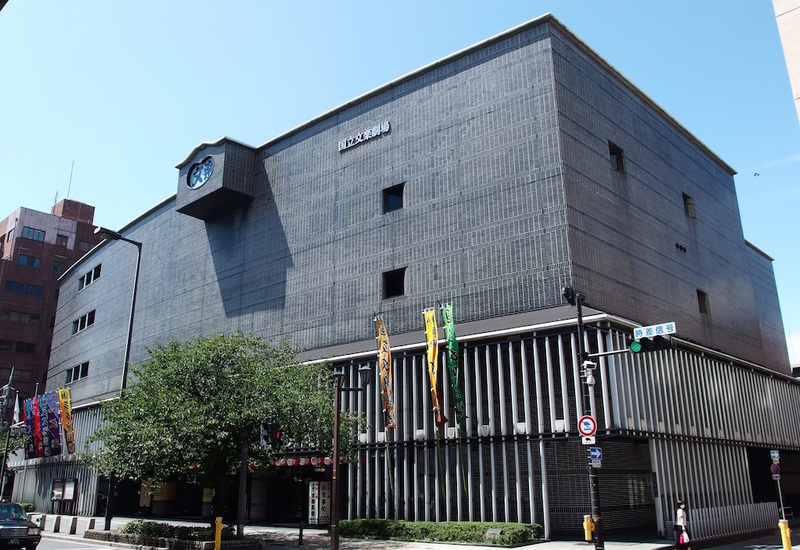 For those who are interested in watching them perform, head on to the National Bunraku Theatre located in Osaka, as it is near the Nipponbashi Station under the Sennichimae and Sakaisuji Subway Lines. Another option would be the National Theatre located in Tokyo, as it is only a 5-minute walk from Hanzomon Station under the Hanzomon Subway Line or a 10-minute walk from the Nagatacho Station under the Yurakucho/ Nanboku/Hanzomon Subway Lines. Accessing these locations just to be able to enjoy this beauty of theatrical play would definitely be easy. While this form of entertainment may not be advertised in the news or other popular social media accounts, bunraku still continues to flourish even up to this day wherein all sorts of entertainment can already be easily found and watched online. Due to its long history and authenticity in performing the art of puppeteering, the interest of many still remains to be piqued. The main point of this theatrical play is to not just showcase the beauty and art of puppeteering but also show how a centuries-old form of entertainment still exists today due to the unwavering love of the people for this art form.